When prayer is not genuine it’s not real prayer. How do we know when our prayers are not genuine? It’s simple! The heart. When your prayers are not genuine your heart does not align with your words. Your words can be eloquent and beautiful while still being filled with deceit and hypocrisy Psalm 55:21. Our hearts may fool us, but the Lord is not fooled. 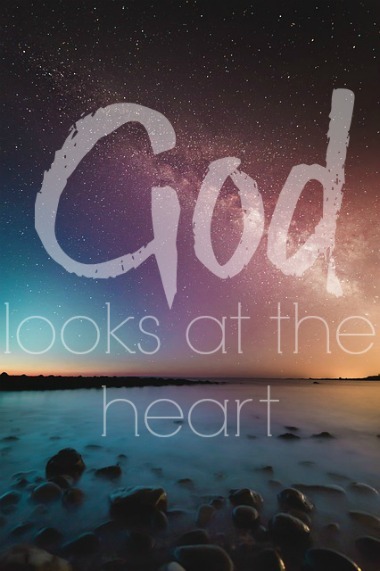 Jeremiah 17:10 teaches us that the Lord searches the heart. It’s so easy to throw words around and to be honest we’ve all been guilty of this. We’ve all been guilty of throwing around words and calling it prayer while treating our prayer life like a ritual. This is one of the most terrifying aspects of being a Christian because you can fall into a habitual lifestyle of dead repetitious prayer. It’s dangerous to have an ongoing cycle of repetitive prayer as if you were rehearsing your lines for a school play. Examine yourself! Has this become your prayer life? I am in no way saying that we can’t pray for the same things daily. We should wrestle with God and trust in God to deliver us until the battle is won, but do you say the same lines over and over again? Prayer should not be words that you have memorized as if you were singing a chorus from your favorite song. God is not impressed with empty words. You can pray for hours and literally say nothing to God. We treat God as we treat other humans. We say, “how are you doing,” but most of the time we don’t truly care. We offer snacks, but oftentimes we truly want to keep them to ourselves. We ask a homeless man with no shoes or clothes on what does he need, when his needs are right in front of our face. God desires a love relationship. As believers we have to understand that prayer is communication between us and the living God. It should be as real as can be. We throw words around at the Creator of the universe, our Father, our Savior with no heart behind it. I believe this hurts God. He wants a real relationship. He anticipated a love relationship with you. The Bible says He dances over you Zephaniah 3:17. Aren’t you tired of acting like you have a relationship with God? It’s time to truly have a relationship with God! Before day one He’s been there for us and even when we neglect Him in prayer He’s still initiating a love relationship with us. He wants you. Have you ever liked someone who didn’t like you in the same way? It’s painful. You go out of your way for the person, but they treat your love as if it were nothing. Christ died so we could be reconciled to the Father. Our Savior went out of His way and died for us on the cross so we could have a relationship with Him. We treat God’s love as if it were nothing. Our prayer life loses its sincerity when our relationship with God is not where it’s supposed to be. Cry out to the Lord to change your heart. Stop hiding from God. God is not condemning you. He is calling you. He wants more of you. Just like He said to Adam in Genesis 3:9 He is saying to you “Where are you?” I am convinced that if you don’t understand the love of God for you, then your prayer life will show it. Is there anything distracting you from the Lord? Be honest with yourself. If there is, then it needs to go. There is nothing more painful than being disconnected from the Lord. Not only does it hurt us, it hurts Him. Are you speaking negative words to yourself? Are you involved with negative people? Are you listening to negative music? I’m sorry to say, but these things will affect you. In Proverbs 4:23 we are told to guard our hearts and in Philippians 4:8 we are told to dwell on things that are pure and worthy of praise. Don’t allow negative things to seep into your life. Negative things will negatively impact the genuineness of your prayers and they will increase your chances of having a boring prayer life. It’s hard to love God with all your heart, soul, mind, and strength when your relationship with Him loses the excitement. Once again, let’s examine our lives. Have we abandoned our first love Revelation 2:4? Have we settled for a dull worship life? Are we motivated by duty rather than desire? If the answer is yes to any one of these questions, then you need to go back and do the things that you used to do when your prayer life was at its highest peak. You remember those times when you felt His presence and He was allowing you to know what to pray for. Turn off the TV and get back into the Word and allow Him to speak to you through Scripture. You must feed yourself spiritually. A genuine prayer of repentance changes everything. One of the scariest things about not being genuine in prayer is when it involves sin. You can’t flatter God with empty words. God knows when we have all the right words, but the heart is not right. We repent, we put ourselves back in the face of temptation, and we go back to the same sin. Nothing changes! Why, because that is not genuine repentance. Spend some time with the Lord. Go on a walk. Go to a place where you can be alone. Reflect on your relationship with Him. Reflect on His love for you. Talk to Him as you would your earthly father. What is He trying to tell you? Keep asking Him until it’s clear. Go!